Few people like to discuss dying, but it’s important to think about how those we love will get along when we do. NYSLRS members have important considerations to keep in mind. First, depending on the pension payment option you choose, you could leave behind an ongoing pension. But, beyond that, your loved ones may also receive a death benefit. This post is an overview of common death benefits and how your survivors should file for them. It is important to review your retirement plan booklet for specific benefit and eligibility information, and to contact us with any questions you have. Most members who die while they’re still working will leave their beneficiaries what’s called an ordinary death benefit. The benefit amount is usually one year of your earnings per year of service, up to a maximum of three years. 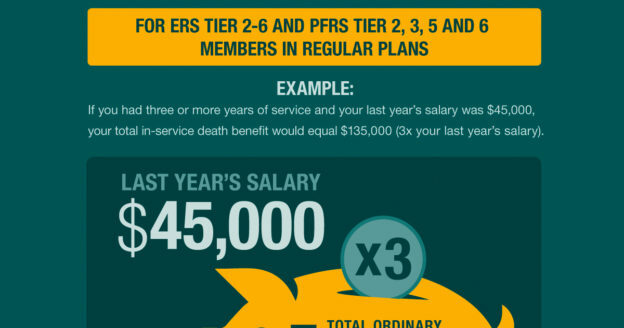 Depending on your system, tier and retirement plan, other limitations apply. Generally, to qualify, you must have at least one year of service credit, and you must die while you are on payroll, in public service. Check your plan booklet for other qualifying circumstances. Some members who die in an on-the-job accident (not due to their own willful negligence) might leave their spouses or other survivors an accidental death benefit. If paid to a surviving spouse or dependent parent, the benefit is a lifetime pension based on 50 percent of your final average salary (less any workers’ compensation benefit). There is no minimum service credit requirement. Depending on your system, tier and retirement plan, there may be other benefits you leave your loved ones. 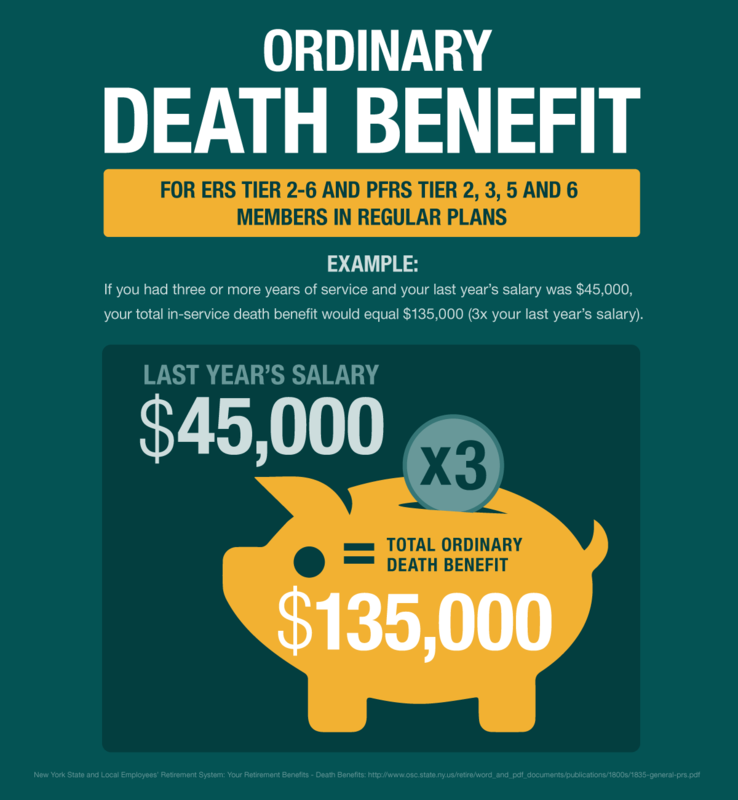 For example, beneficiaries of Police and Fire Retirement System (PFRS) members who died after meeting the requirements for a service retirement may receive an alternative death benefit. 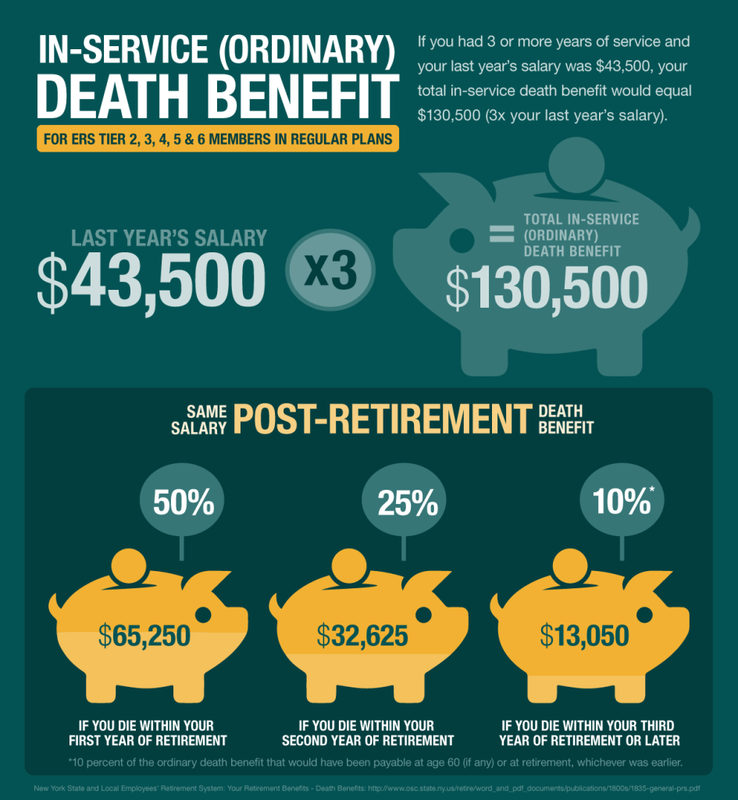 Most Employees’ Retirement System (ERS) members, who retire from service or within a year of leaving public employment, will leave their beneficiaries a post-retirement death benefit. Regardless of which death benefit you leave, benefits can’t be paid until we’re notified of your death. That’s why it’s so important to talk with your family now about your benefits and how to report your death to NYSLRS. Check out our Getting Your Affairs in Order and A Guide for Survivors publication for more helpful information. 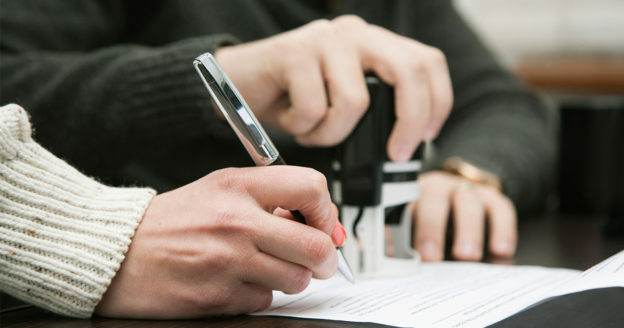 In most cases (unless beneficiaries are determined by law, as in the case of accidental death benefits), your death benefit will be paid to the beneficiaries you designated at some point in the past, so it’s important to be sure yours are up to date. 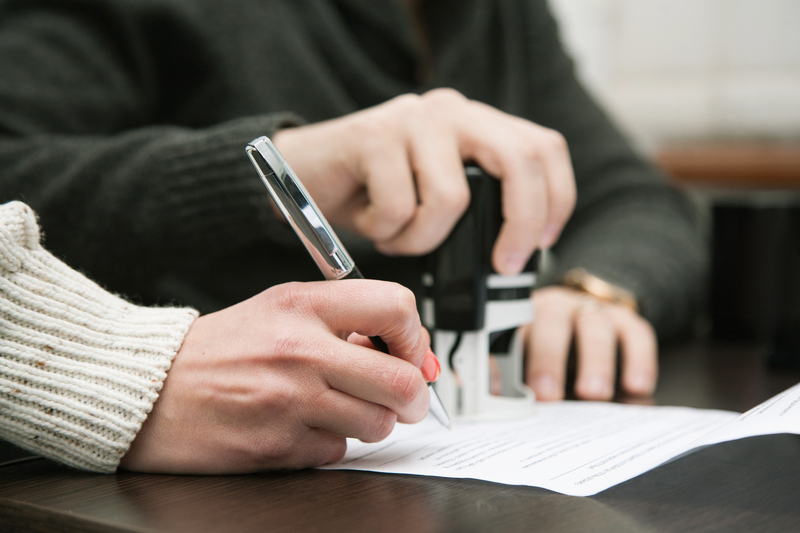 Your beneficiaries are listed on your Member Annual Statement. You can also view and update your beneficiaries using Retirement Online. Just register and sign in to view your designations and submit changes. Content last revised November 30, 2018. This entry was posted in General News, Members and tagged Accidental death benefit, alternative death benefit, death benefit, defined benefit plan, ERS, Information is the Key, know your benefits, members, New Members, New York State & Local Retirement System, NYSLRS, ordinary death benefit, pension payment option, PFRS, post-retirement death benefit on November 8, 2017 by NYSLRS.